I’m late to the blog post party this week, which I’m blaming on business travel this past week, but it will yield some new reviews from New England for next week, so you should probably be thankful. I’m also in the throes of full-on prep for our girls for Miss New York, coming up in July, and our pageant, in August, plus a couple weddings this summer. Color me stressed. And you know what helps with stress? Carbohydrates. Well, I’m not sure how much they really help, since none of my pants fit, but they alleviate, at least in the short term, some of the anxiety I’m prone to this time of year. The newest place to obtain carbs mas delicioso in Endwell is called Daylight Donuts, and it’s right on Main St., across from the Valero. While it may share initials with another chain of donut huts that enjoys the lion’s share of fried dough lovers’ loyalty in the Northeast, that’s about all it shares. I’ve never been certain that Dunkin Donuts were worth the calories, though I’ve consumed my fair share. 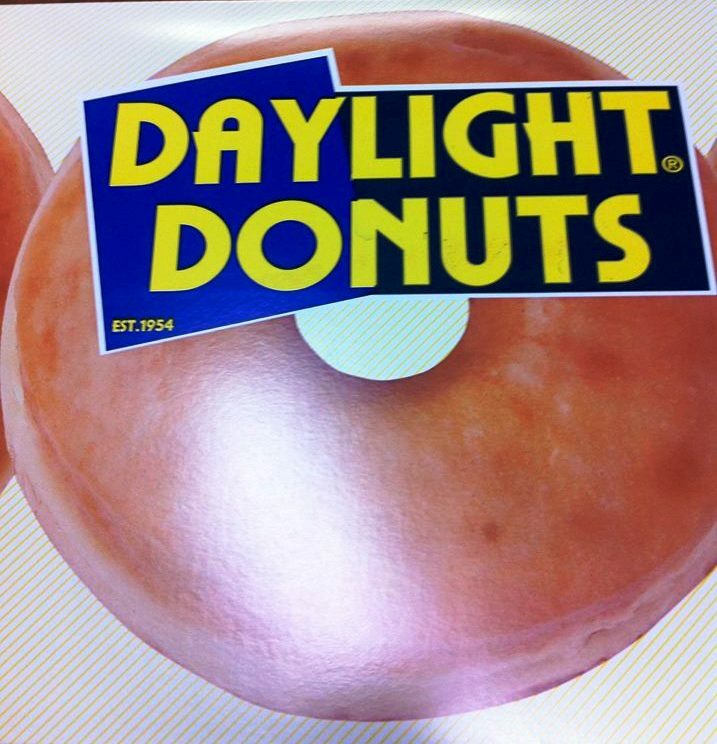 However, I assure you, the cool, inventive, assertive flavors packed into the little works of art at Daylight Donuts are worth every minute of cardio. I’m talking blueberry cake donuts topped with cream cheese icing that taste like fresh blueberries; real, identifiable slices of banana in the Elvis donut, and unique, custom flavors like strawberry lemonade for summer. 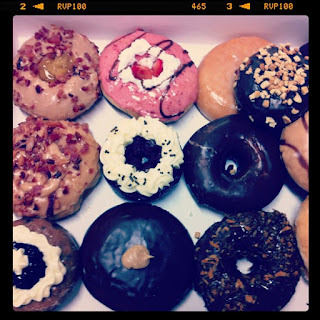 The texture of these donuts is light and airy even as their sugar content is off the charts and their flavors are bold. I always feel like all other donuts taste the same, even when one is Boston cream and the other is an apple fritter. You don’t really taste apple, just sweet, sweet, more sweet, and sugary sweet. At Daylight, the strawberry tastes like strawberry, the chocolate tastes like chocolate, the peanut butter tastes like peanut butter, and the snozberry tastes like snozberry! Name that book, and I’ll give you a dollar. I think you and I both know which donut is my favorite, and hoo boy is it a doozy. The Elvis combines a yeast donut stuffed with banana and peanut butter, coated in maple frosting and crusted with salty, freshly-cooked bacon (no jarred, dried out, insipid bacon bits). The PB was ooey goeey, and the bananas were uber ripe and sweet, which made the salty bacon sing. I wish that bacon had been smokier, like maybe from Benton’s Bacon, in Tennessee, but this isn’t my personal donut dream, it’s a chain, so I guess I shouldn’t get carried away like that. No matter, this was essentially the perfect, decadent, breakfast pastry, and I can’t wait to have another. Another new edition to the culinary landscape in the Triple Cities is doing God’s work over on the South Side of Binghamton. 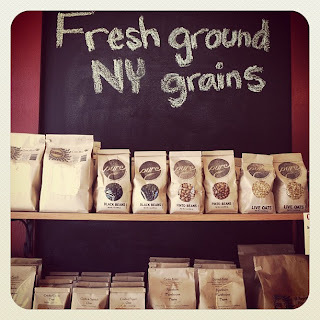 Old Barn Hollow, Binghamton’s first locavore store, carries food products grown, raised, or otherwise made in New York State. 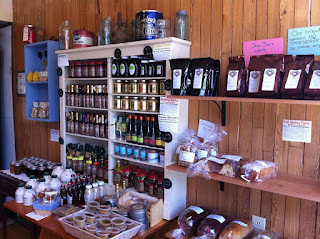 From my beloved butternut squash seed oil to grains from Cayuga Pure Organics, and local meat, dairy and eggs, if you’re trying to eat clean and local, Old Barn Hollow is for you. I bought some Northern Farmhouse Pasta, made in the Catskills, and some gorgeous Yukon gold potatoes that we grilled up the following night. Melinda made good with some organic, grass-fed lamb, and we both got some gorgeous little handmade soaps. Old Barn Hollow also will have more and more fresh vegetables and fruits as the season goes on, and they make gluten-free baked goods in house, in addition to carrying bread and granola. I worry, with the size and odd location of this gem, about its survivability, and that’s all the more reason you need to make it a priority and go! The reason the Southern Tier is sort of bereft of little cool spots like this is because we don’t support small businesses as a community. But places like this, though more expensive than Walmart, not only employ the people who work in that shop, but also the farmers and small, artisanal food producers all over our great state, who are strengthening our economy and our environment. Local food is good for the Earth and good for our bodies, and we all need to go out of our way to support it. 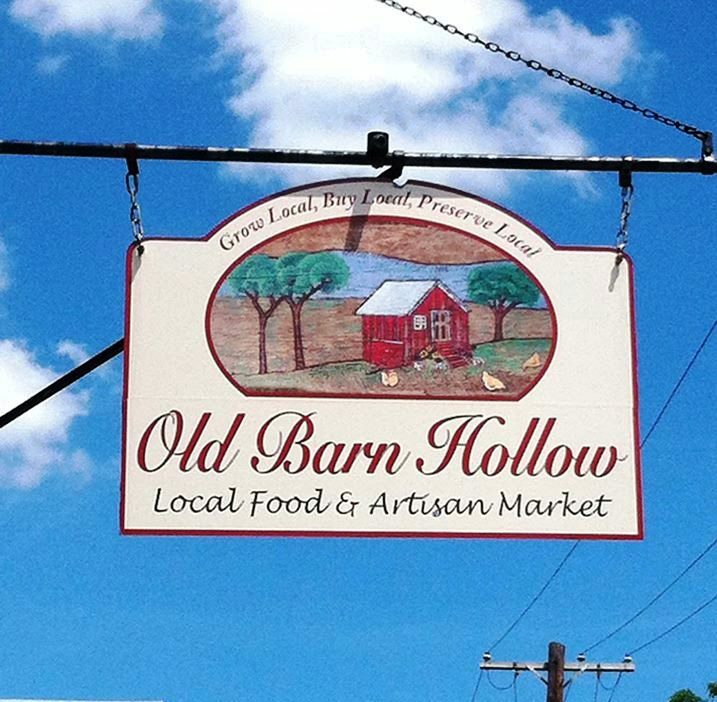 I’ve always had to drive to Ithaca to get food like this, and I’m so excited to see a place like Old Barn Hollow bring that availability to Binghamton. I’m stepping off my soapbox now to remind you that your own hometown holds farm stands, small businesses, and untold yummy treats. Step away from the big chains and seek out all the great food we have RIGHT HERE! My hunger is big; my personality is bigger! That you so much for the mention! We love our local farmers and the only way our beloved farms will survive is to shop local. 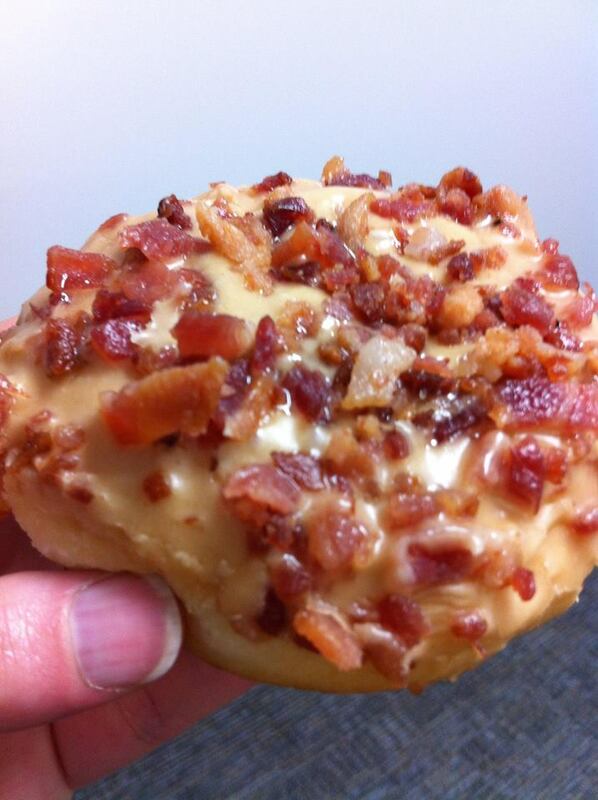 I hit up a local (to OCMD) awesome donut place this weekend and was seriously hoping for a bacon donut. No dice.